Home > Business > What is DuitNow? 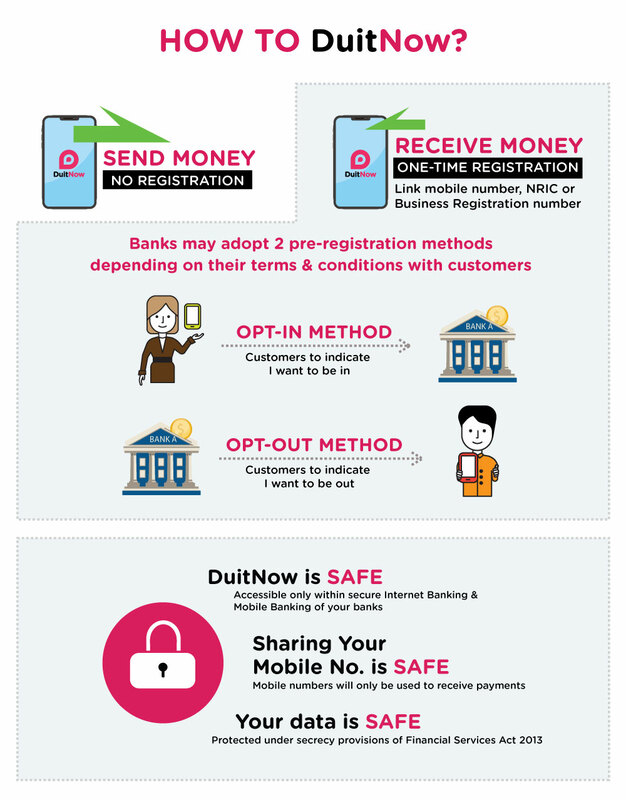 To make payments, all you need is the beneficiary’s DuitNowID which has been registered on the DuitNow Platform. Similarly, to receive payments, you have to ensure that you are registered on the DuitNow Platform and have obtained your DuitNowID accordingly. Business Registration Number (BRN) registered with Suruhanjaya Syarikat Malaysia (SSM). Mobile Number, National Identification Number (NRIC) or Passport Number. For sole proprietors, partnerships and enterprises – DuitNowID can be registered with a combination of A and B as above. Once you have received the confirmation on your DuitNow Registration, you are good to go. Click here for an infographic from PayNet.